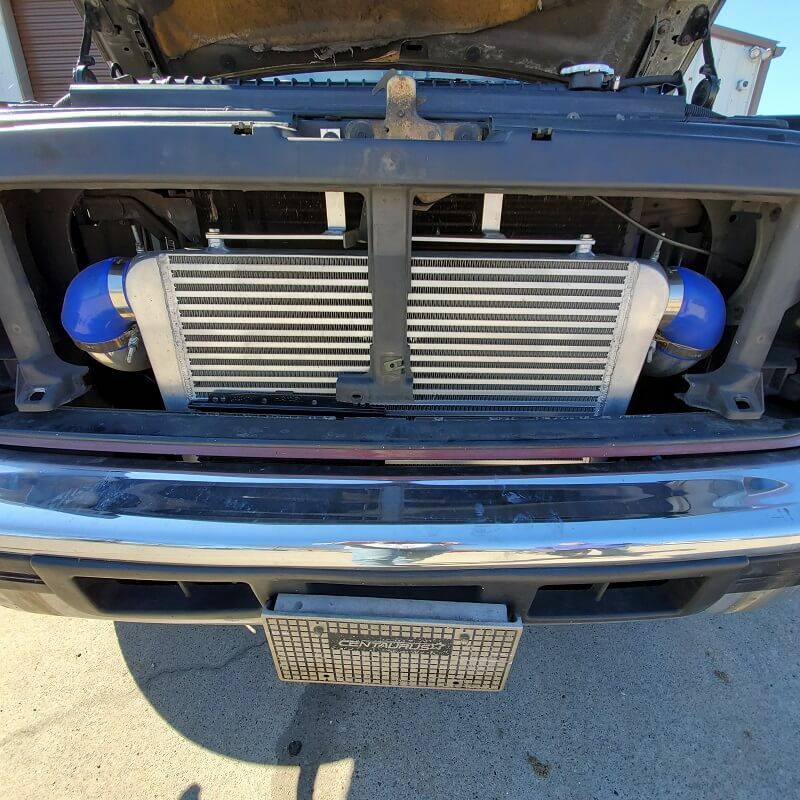 The OBS Ford 7.3 Powerstroke 1994-1997 did not come with a factory mount intercooler system. 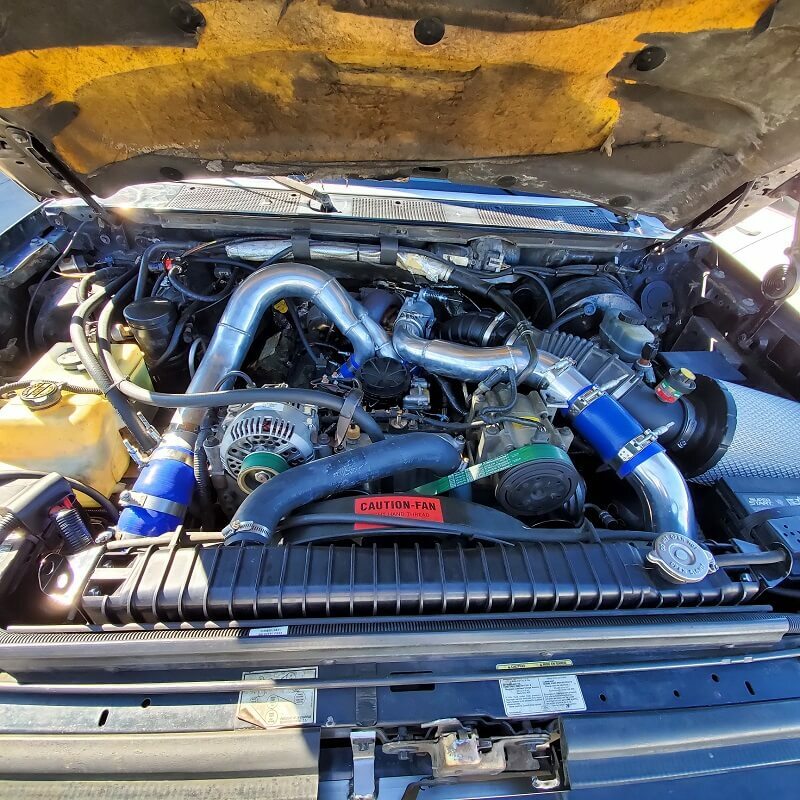 Instead Ford decided that the turbo would be sufficient with the larger 1.15 turbo turbine housing. 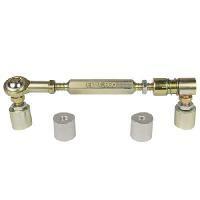 Although it probably helped out some it did not cure EGT problems for a modified truck. 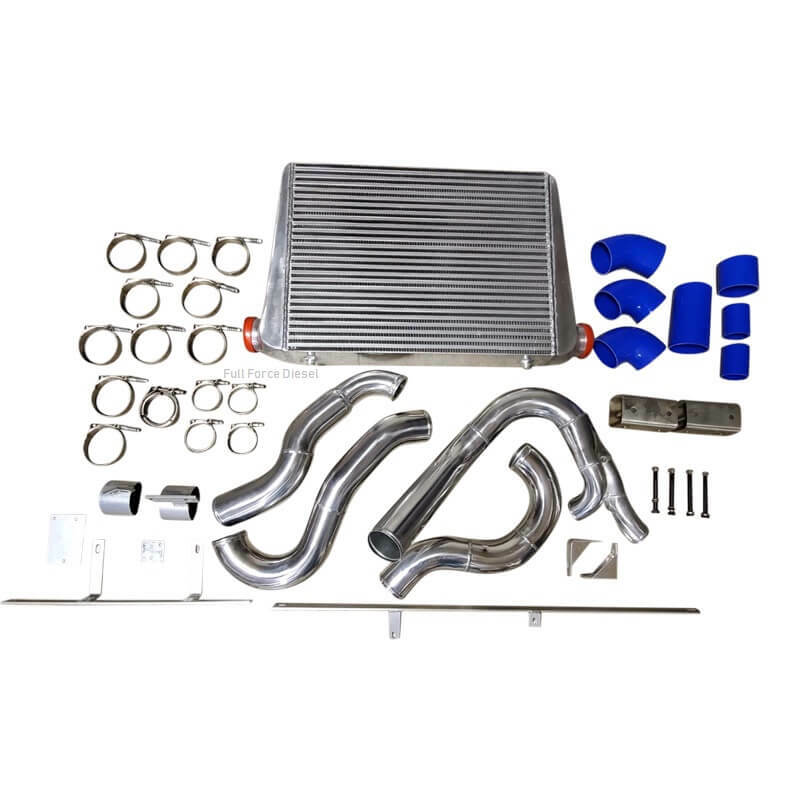 Installing the FFD OBS Intercooler Kit will get you lower EGT's, better fuel economy and more power. Cooling the intake charge air will improve oxygen availability. So the more oxygen with the cooler air equals more burned fuel and less black smoke. This kit is a bolt on design. 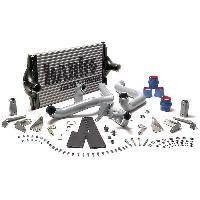 Comes with brackets for the intercooler, power steering cooler and AC Condenser. Overall Size 31"x 18"x 4"
Core Size 24" x 18" x 4"